Boasting a wealth of experience within the trade, I have been in the motor trade since leaving school, serving 3 years as an apprentice before studying for an extra year to become a technician. I am a fully qualified motor mechanic who had my own garage for 20 years, during which time I did a lot of work for driving schools. This experience led me into fitting DUAL CONTROLS. 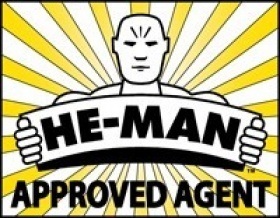 I became a HE-MAN APPROVED AGENT in 1989, and in 2004 I began a mobile service just fitting He-man dual controls and then later added the adaptations. In 2007 I trained Marc, my nephew who was also a mechanic, to fit He-man dual controls and adaptations. We are small family business that specialise in customer service. Throughout our website you can view further information about our services and see exactly what products we use.